American Wholesale Property: BIG Flip! Arlington Heights Ft Worth!! BIG Flip! Arlington Heights Ft Worth!! This property has much more curb appeal than ALL of the other comps I pulled and its 100% brick. Houses in this area can sell for a lot more. One house less than half a mile from here in the neighboring subdivision, 1700 Sf sold for $319,000 in 25 days. It all depends on the amount of work you put in. 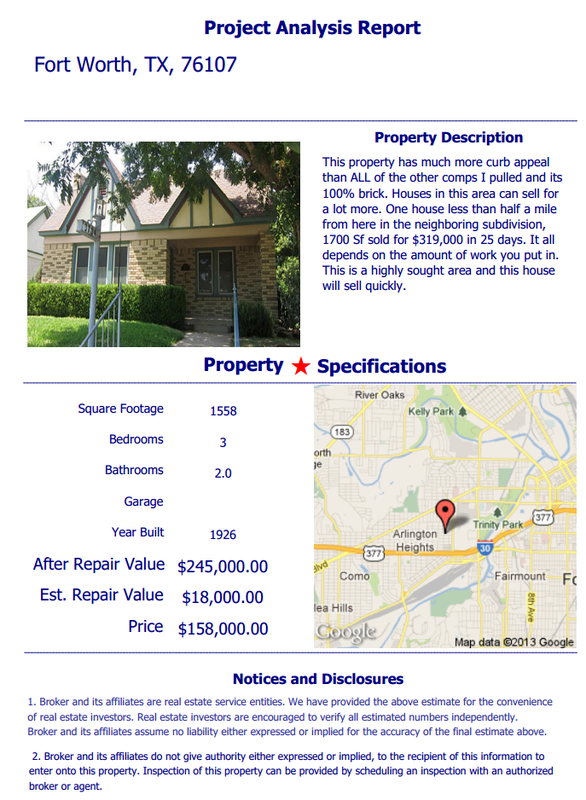 This is a highly sought area and this house will sell quickly.